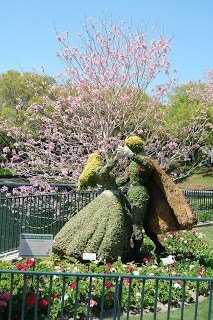 For me, the best part of any Epcot Flower and Garden Festival we’ve been to has been the amazing topiaries that could be found all over the park. I love how the characters are magically brought to life using all natural materials. They are absolutely breathtaking. 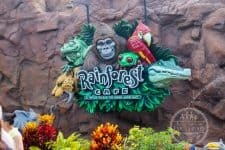 Monday’s post highlighted some of the ones we would have enjoyed if we were to have gone this year. Before I get into today’s craft, I wanted to share some of the ones I have enjoyed in the past. 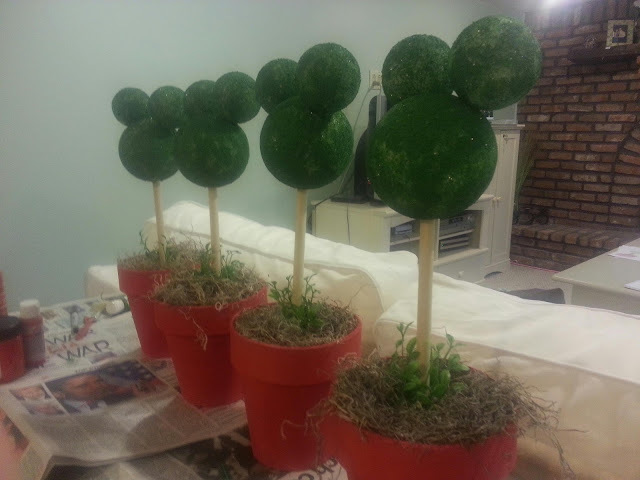 Speaking of topiaries, our craft for today was inspired by a birthday centerpiece I originally saw on Pinterest. Given we are ‘touring’ the Flower and Garden Festival this week and our son will be having a farm party in a couple of weeks, I decided to give this project a natural twist. 4 pieces of Styrofoam, 1 large for the head, 2 medium for the ears and one chunk to secure the dowel in the pot. 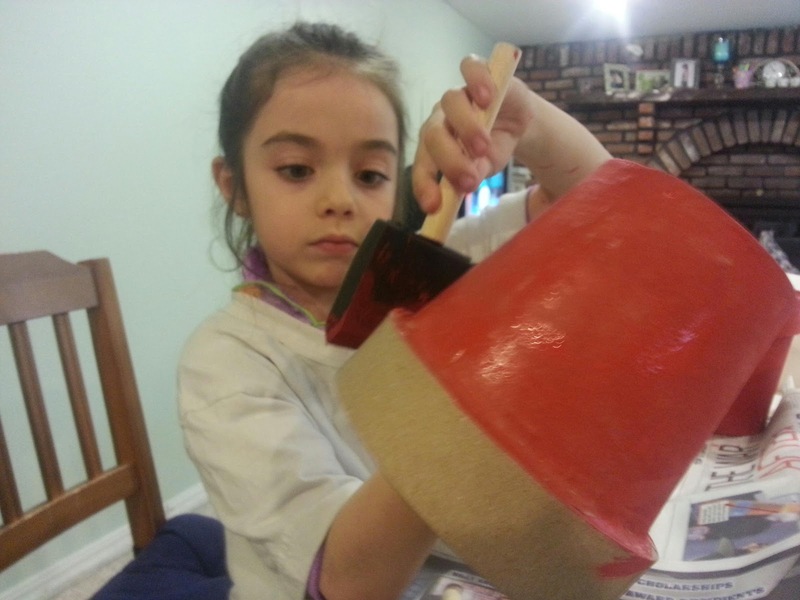 First we painted the pot and Styrofoam. After they dried, we hot glued the ears on the head. Then we hot glued the dowel to the head and stuck it in the pot. 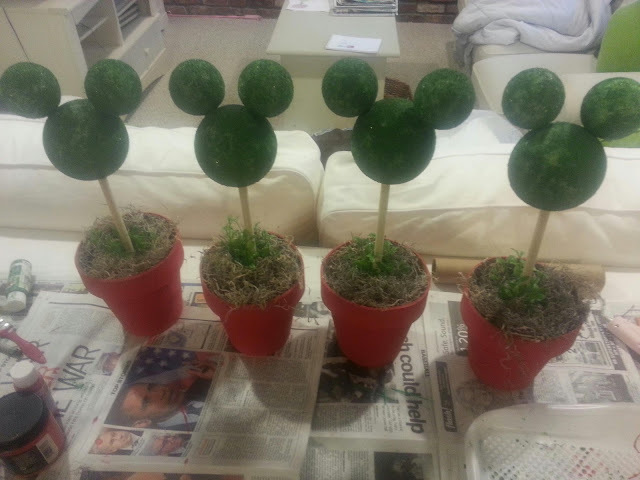 Once the Mickey head was in the pot we decorated it with moss and artificial plants to make it look more like a topiary. We think they came out so adorable! 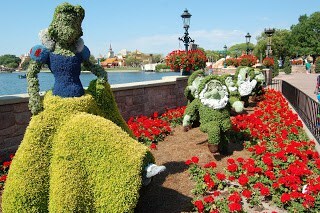 We’re hoping you’ll be inspired to create your own topiaries at home to celebrate spring! If you’re interested in more Disney related crafts, please check out the other Disney bloggers on this week’s Pinspiration Bloghop hosted by Disney Living Online. Those are adorable! 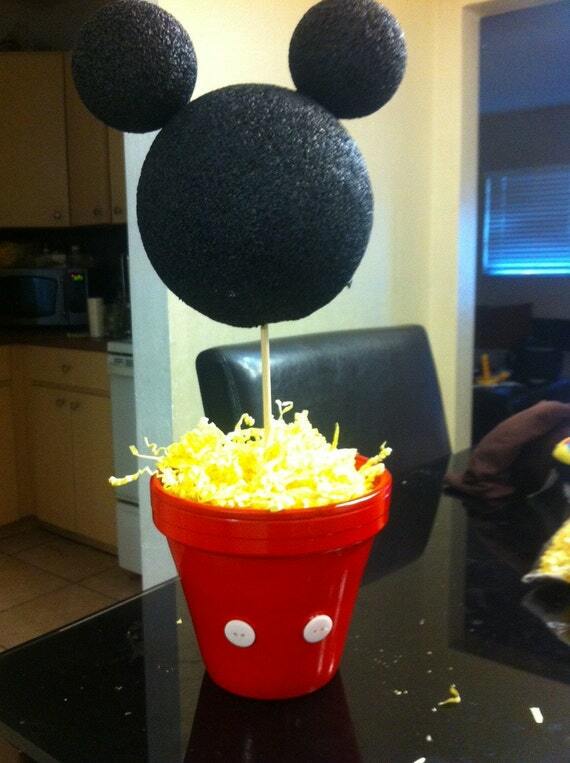 I did some similar ones for a birthday party, but they weren't nature-y. I love the way these turned out. Thanks for joining the fun! Thanks so much for stopping by and for your nice comment. Blog hops are a great way to get to know other bloggers and for us, being new, to get our name out there. Thanks for hosting! 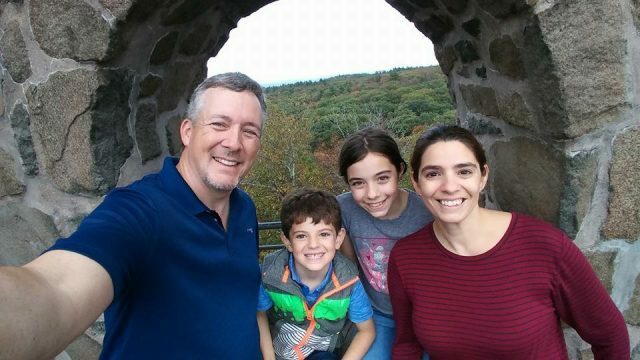 We hope to join in again! 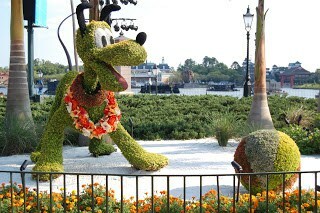 Well you just combined two of my most favoritest things – nature & Disney! Yaaaay you! !